Celebrate all the romantic events of this exciting year with our Engaged Personalized Ornament. 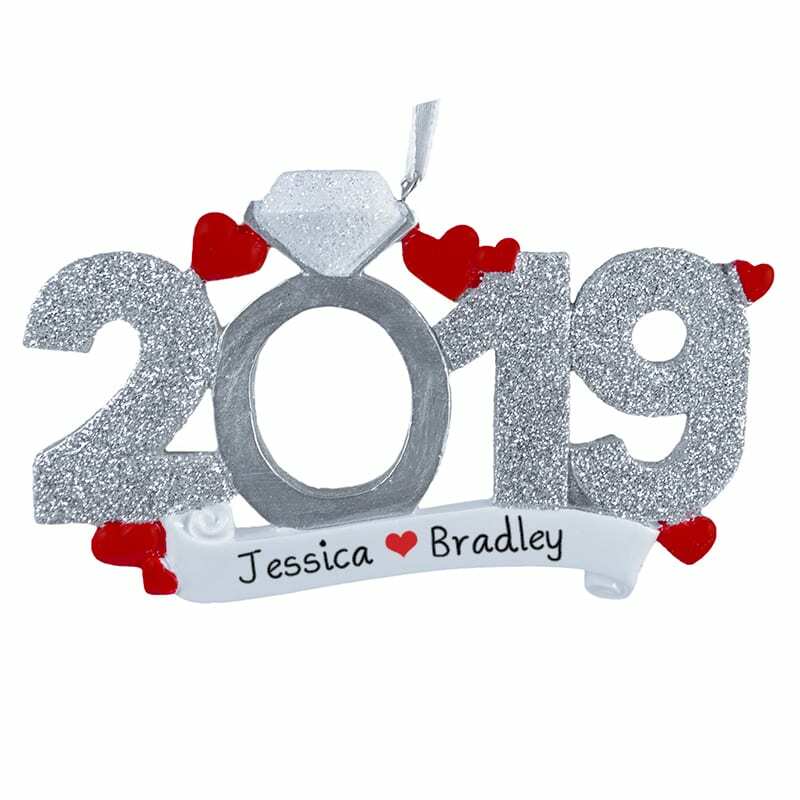 Our striking design features glittered numbers with a larger than life engagement ring for the number zero surrounded by bright red hearts on banner. Have one of our skilled writers add each person’s name free of charge.